Webcam "Weather Webcam Inofita "
In Inofita, there is the Webcam Weather Inofita . The webcam Inofita is regularly updated with new pictures. Track the current weather in Inofita with the webcam INOFITA. Oinofyta is a village and former municipality in eastern Boeotia, Greece. Following local government reform in 2011 Oinofyta is now part of the municipality of Tanagra, of which it is a municipal unit. 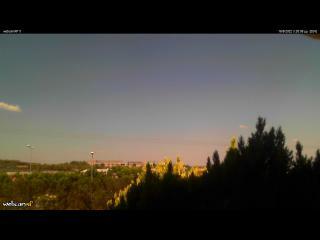 Enjoy the weather in Oinofyta with our weather Webcam Oinofyta. The current live Weather for Inofita is provided by netatmo.